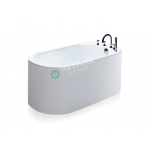 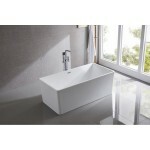 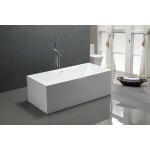 Classic modern free-standing bath for the contemporary bathroom. 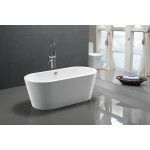 The clean lines of the Plazia will compliment almost any sanitaryware choice. 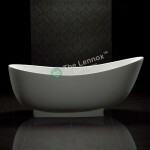 Manufactured using our unique ACRYMITE system the inner and outer are formed seamlessly so you see no join lines. 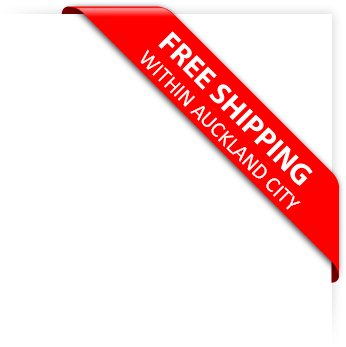 The inner and outer is made in top quality acrylic sheet. 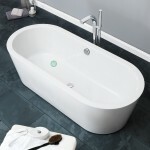 It does NOT have a thin gel-coat outer like many other baths meaning scratches can be easily removed using car restoration products.